The Sun Is Also A Star by Nicola Yoon: Natasha, practical and scientific, is an undocumented Jamaican teen searching for legal help before she and her family are deported. Daniel is a Korean-American poet reluctantly on his way to a Yale admissions interview when he meets Natasha on the streets of New York City. Over the course of the day, Natasha and Daniel debate love and destiny, neither denying the powerful connection they feel between each other. Although they are racing against time and a tangled system of life, love can find a way to take hold - and possibly change the two teens - forever. The Sun Is Also a Star is an upcoming American drama film directed by Ry Russo-Young. 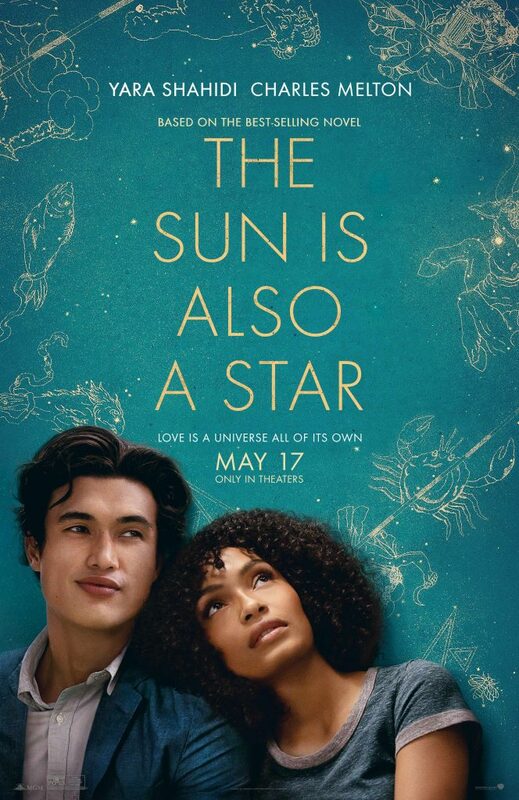 Yara Shahidi plays Natasha, and Charles Melton plays Daniel. It is scheduled to be released May 17, 2019. See the trailer below the book suggestions. If you're looking for another profound and touching story of love and friendship involving teenagers in transition, check out these suggestions. Fabiola Toussaint left Port-au-Prince, Haiti, with her mother to find "une belle vie," or "a good life." But when her mother is detained by U.S. immigration, Fabiola is left to navigate her new world on her own. When a dangerous proposition arises, Fabiola realizes that freedom comes at a cost. Evan is the nephew of a conservative southern senator, accustomed to country clubs and luxury. When he meets the beautiful Alma, who is from a large Mexican family, he falls in love. But Immigration and Customs Enforcement is hot on Alma's trail, and she knows she needs to come clean about her undocumented status. After surgery that helped her morbid obesity, Libby Strout begins public school after years of homeschooling. Jack Masselin is the resident "bad boy" with prosopagnosia, a neurological condition that causes facial blindness. Eventually, the two collide after a bullying incident which lands them both in after-school detention. As their relationship grows, they learn about each other and what honesty is all about. Chinese-American Danny Cheng's father loses his job and his parents' life begins to fall apart in front of his eyes. Danny begins to uncover dark secrets about his family's past and tries to unravel the mystery while navigating his complicated personal relationships and school life. Jasmine discovers her family's illegal immigrant status and realizes her dream of college may be impossible. While deportation looms, she endures as she falls for the son of a congressman who opposes an immigration reform bill. View more suggestions for The Sun Is Also A Star.